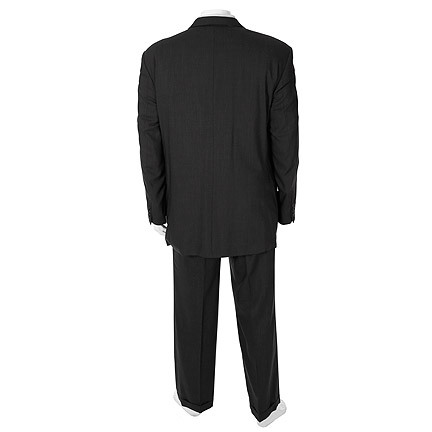 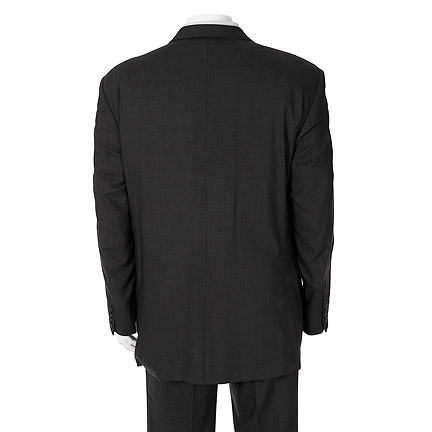 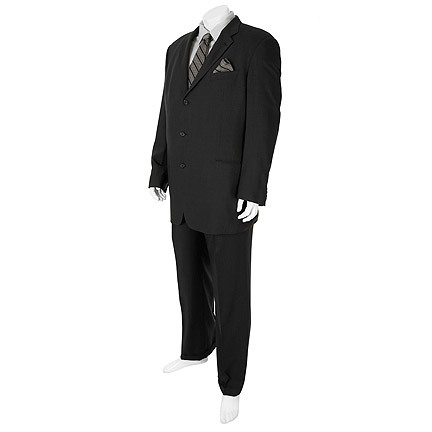 This costume was worn by the character Tony Soprano played by actor James Gandolfini in H.B.O. 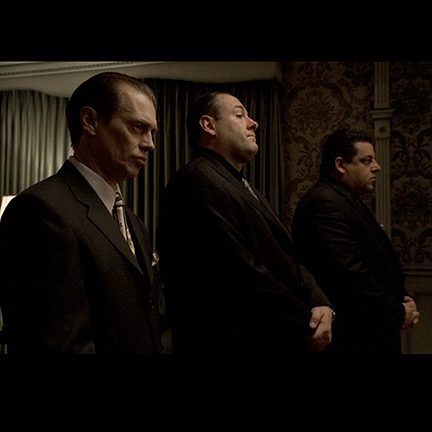 's award winning series "The Sopranos". 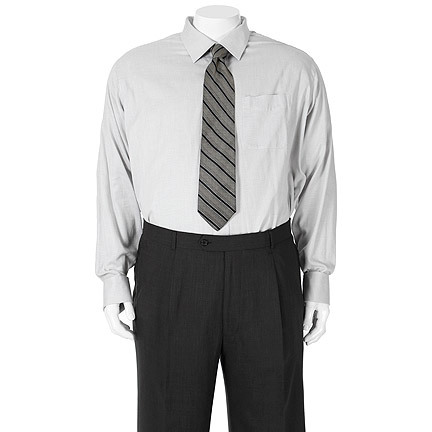 The two piece grey Hugo Boss suit was worn “In Camelot” (Season 5, Episode 7) when Tony Soprano attends a funeral. 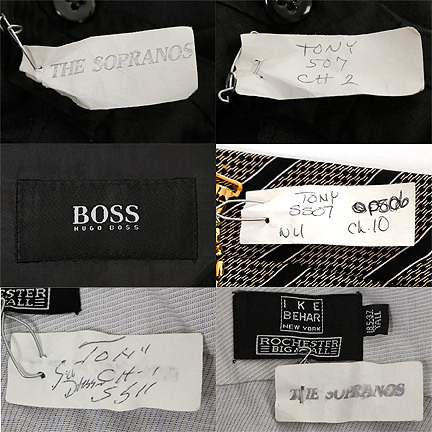 Attached is the costume production tag with “Tony 507 Chg 2”. 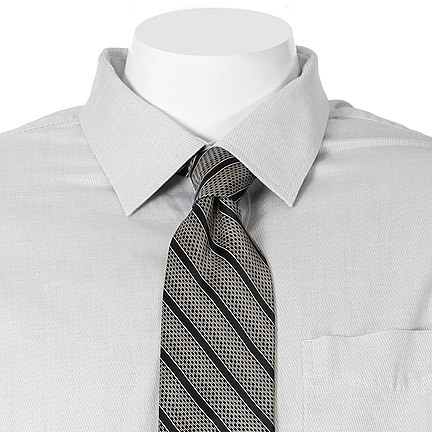 The dove grey Ike Bear dress shirt was worn in “The Test Dream” (Season 5, Episode 11). 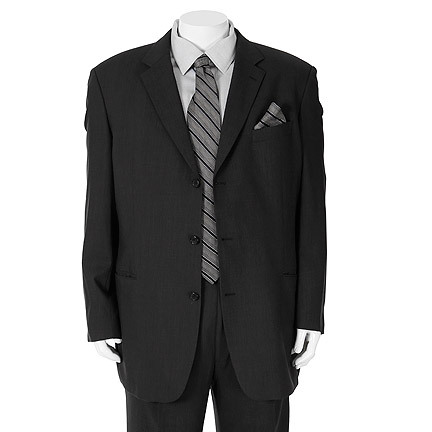 The Baroni black and silver diagonal striped silk tie and matching pocket square were worn in “In Camelot” (Season 5, Episode 7) during Uncle Zio’s wake at the funeral home. 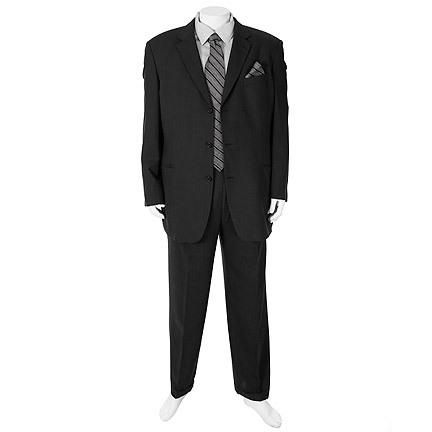 Mr. Gandolfini can be seen wearing this suit when Tony attends the funeral of Aunt Concetta, who died of a heart attack. 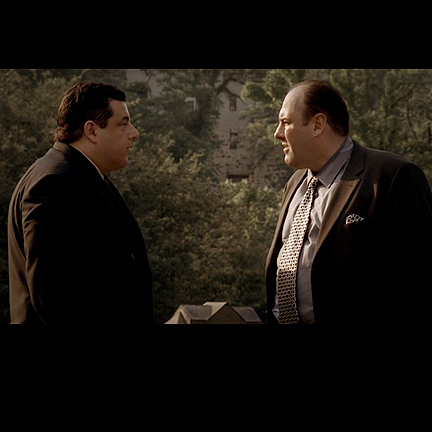 After the ceremony, Tony visits the graves of his parents and finds an elderly woman there named Fran Felstein. 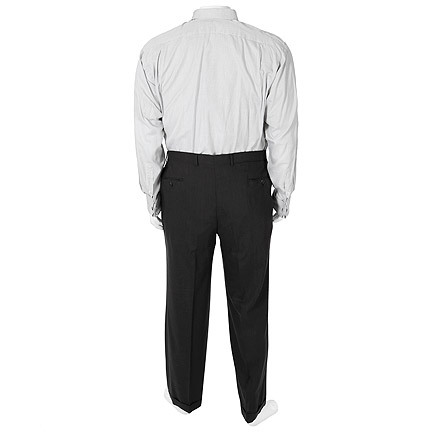 Tony then goes to the funeral reception to speak with Uncle Junior who reveals that he himself was in love with Fran, and even planned to propose but missed his opportunity. 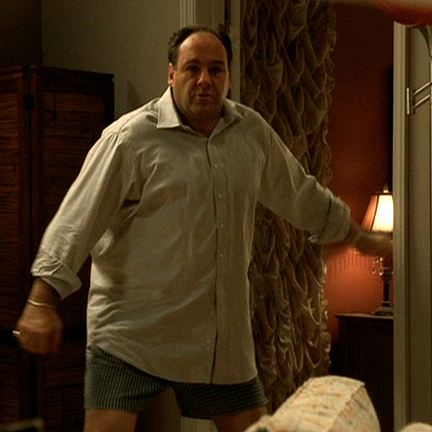 Tony discovers Fran was his father’s mistress.